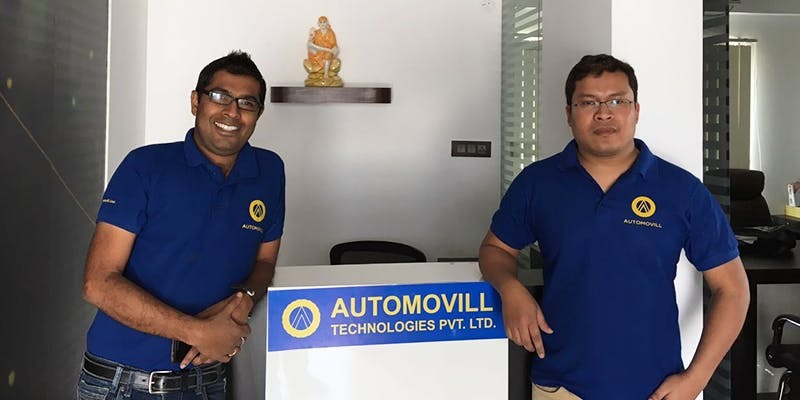 Co-founders of Automovill - Mridu Mahendra Das and Chinmay Baruah. 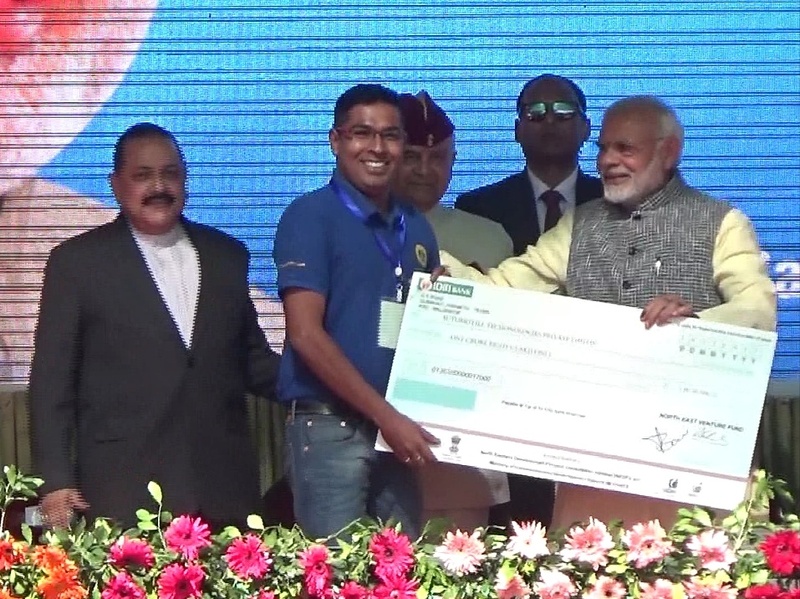 Two engineers from Upper Assam’s Jorhat, instead of engaging themselves in multinational companies with good salary, have returned to homeland- Assam with a revolutionary idea to provide relief to the car owners which raised the standard of automobile industry to another level. The Bangaluru based company Automovill, which provides services related to vehicles, is the first company in the country to receive cheque from Prime Minister Narendra Modi under ‘START UP India’ initiative of the Government of India at Aizawl in December, 2017. Both the proud Assamese engineers–Mridu Mahendra Das and Chinmay Baruah–have started the company’s operation in Guwahati this year. Focusing on to provide hassle free service to the vehicle owners, they have developed an online booking service where representatives of the company pick up the vehicles for required services and drops it at doorsteps. Das while speaking to Northeast Now said that they would also launch an online tracking system soon so that the clients can monitor the whole process of servicing or repair. “Automovill is our initiative to give relief to the customers by providing hassle free car service,” added Das. “We have focusing on transparent billing against the services and customers can make online payment or can pay cash. Normally, customers have to pay big amount of their hard earnings to the service centre authorities for servicing or repair of their vehicles but we charge only a reasonable amount,” Das said. Siddhartha Saikia and Pradyumna Goswami would be the head of the Guwahati office of Automovill Company. Das further said that the company is operating in four cities of India – Bangalore, Guwahati, Navi Mumbai and Noida. Automovill was one of the three companies out of 350 Northeast India based companies selected for the start-up business in the NRL Ideation competition held in 2017, which was organised by Numaligarh Refinery Limited as a part of its start up initiative. The NRL authority also provided a financial assistance of Rs 50 lakh to company. Das, who is the COO of Automovill, completed his engineering from Jorhat Engineering College while Chinmay Baruah, who is the Automovill’s CEO, pursued Petroleum Engineering at IIT Dhanbad, and did his post-graduation in Petroleum Engineering at Texas Tech University.